Should I Learn C# Programming? 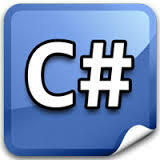 C# is a programming language developed by Microsoft. It is intended to be a simple, general purpose object oriented programming language that can be used across a wide variety of platforms and suitable for writing applications in both hosted and embedded systems. Anybody looking to do programming for applications that can be used on Windows-based platforms should consider C# one of the essential programming languages they must know. For those who are worried about the difficulty of learning C#, there is C# programming help available. Regardless of the type of programming help you need, we are well qualified to deliver that help. Customer support 24/7 so you can get live programming help when you need it. When you need programming help of any kind, contact us and gain the advantages working with our programming experts provides!